Duncan Aviation's Material Services Department processes an average of 500 inbound and outbound packages everyday. On Monday, June 3, Duncan Aviation consolidated its Shipping and Receiving operations with all shipments to Duncan Aviation-Lincoln now going to one new centralized receiving location. This move improves the efficiency of how packages are received and moved about the company, resulting in many customer benefits. Customers will no longer have to ship their accessory or avionics units to different physical addresses at the Lincoln Airport to reach the Duncan Aviation shop performing the work or needing the parts. That means whether customers are shipping an accessory item for repair or overhaul, an avionics unit for repair or overhaul, or sending Duncan Aviation an inventory of parts for consignment, they will be able to use the same address. As part of consolidation, Duncan Aviation has obtained a special zip code for use in the FedEx shipping system. All packages addressed to this zip code are delivered by FedEx to Duncan Aviation’s Lincoln facility first thing in the morning. The consolidated shipping, along with radio frequency scanning technology implemented in Duncan Aviation’s package receiving process, allows for more efficient shipment receiving and dissemination. Units make their way from the receiving dock to the repair shop and ultimately the workbench even quicker than before and are able to see real-time when an expected unit is received into the system. And customer paperwork is electronically attached to the work order for a more efficient process all-around. We look forward to our customers experiencing the financial and turntime benefits of the new receiving procedures. All Duncan Aviation customers who need AOG services and use the special FedEx zip code of 68500 no longer need to mark and pay for the “EARLY AM” service from FedEx. Technicians have already been reporting AOG units arriving earlier than the previous “EARLY AM” shipments. For the most efficient service, it is best to use the shipping addresses as outlined above. However, we have been assured by our carriers that if you forget and use the old addresses, shipments will still make it to Duncan Aviation and the proper shops. Duncan Aviation's Component Solutions offers extensive aircraft parts repair and overhaul services—including loaners and exchanges—for avionics, instruments, parts and accessories, at the same time maintaining a large inventory of aircraft parts for sale. Their streamlined services and competitive turntimes satisfy hundreds of requests throughout the world 24 hours a day, 7 seven days a week. Kevin Miesbach is Duncan Aviation's Avionics/Instruments Shop Manager at its Lincoln, Nebraska, facility. His aviation career began in 1985. There are nearly 3,000 identified aviation acronyms. Do you know them all? Each industry has their own set of acronyms and abbreviations that often leave outsiders scratching their heads. There are nearly 3,000 identified aviation acronyms. However, in honor of the Duncan Download’s 200thblog post, I asked our own experts to share 200 aviation-related acronyms that they use most during a normal work day. These overachievers sent me nearly 300. Duncan Aviation is an aircraft service provider supporting the aviation needs of government and business operators and other service providers. Services include major and minor airframe inspections, engine maintenance, major retrofits for cabin and cockpit systems, full paint, interior and modification services and pre-owned aircraft sales and acquisitions. Duncan Aviation also has aircraft components and parts solutions experts available 24/7/365 at 800.228.1836 or 402.475.4125 (international) who can handle any aircraft system problem with immediate exchanges, rotables, loaners or avionics/instrument/accessory/propeller repairs and overhauls. Complete service facilities are located in Lincoln, Nebraska, and Battle Creek, Michigan. Additional locations include a maintenance facility in Provo, Utah, more than 20 satellite avionics facilities and eight engine Rapid Response Team launch offices strategically located for worldwide support. For more information about any of Duncan Aviation’s services, contact us at 402.475.2611 or 800.228.4277. Or visit us on the web at www.DuncanAviation.aero. Contributed by Jason Duhs and Dennis VanStrien, Airframe Service Sales Reps.
Aircraft aftermarket programs offer some very real advantages to business aircraft operators, especially when it comes to budgeting. Many of these programs are purchased after the manufacturer warranty expires for the aircraft. While it’s unlikely that an aftermarket program would be overlooked by a service provider, it’s always a good idea to talk about which programs apply to your aircraft and your parts ordering preferences. Always provide a list of aftermarket programs that apply to your aircraft. Service providers should always research or request aircraft program information before asking for your signature on a maintenance service agreement. However, in cases where service sales representatives might be out of the office, this step might be overlooked by well-intentioned support staff. Providing a list of applicable programs will help a service center coordinate services appropriately. Providing access to the aircraft’s maintenance tracking service and logbooks beforehand will also help a service provider identify service bulletins or other services that might be required for your aircraft. Ask about the material, equipment and workmanship warranties that cover an avionics retrofit. Some equipment is warranted for one year, others for five years. If you opt for serviceable equipment (used equipment) to be installed, there’s no equipment warranty. It’s easy to forget when an avionics equipment warranty will expire. When it does expire, operators may want to consider an avionics service plan like the Honeywell Avionics Protection Plan (HAPP) or Rockwell Collins’ Corporate Aircraft Service Program (CASP), depending on what system was installed. Depending on the service provider, workmanship can be warranted for as long as three years. 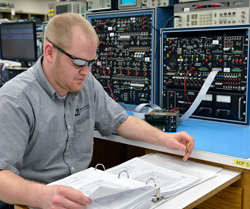 For example, Duncan Aviation provides a three year / 1500 hour warranty on avionics installations. Tell your service provider how you want to handle parts ordering. This helps ensure that any covered parts are ordered by the right people, through the correct venues. Some operators prefer to order their own parts, others leave it to their service center. Make sure your sales representative and lead technician understand your preferences before work begins on your aircraft. Duncan Aviation provides support for several aftermarket programs for business aircraft. Engine programs we support include Jet Support Services, Inc. (JSSI), Honeywell’s Maintenance Service Plan (MSP) and MSP Gold, Pratt & Whitney Canada’s Eagle Service™ Plan (ESP®), Cessna’s Power Advantage and Williams’ Total Assurance Program (TAP). Avionics programs we support include HAPP and CASP. 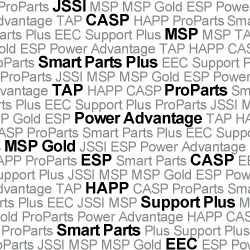 Parts and consumables programs include Cessna’s ProParts (part of Power Advantage) and Bombardier’s Smart Parts and Smart Parts Plus. We also support Embraer Executive Care (EEC) and Raytheon’s Support Plus. Please contact a Duncan Aviation rep. for more information about the aircraft aftermarket programs we support. Jason Duhs serves as an Airframe Service Sales Rep. at Duncan Aviation’s Lincoln, Neb. (LNK) facility, specializing in Citations and King Airs. He began his aviation career in 1996. Dennis VanStrien serves as an Airframe Service Sales Rep. at Duncan Aviation’s Battle Creek, Mich. (MI) facility, specializing in Citations. His career in aviation began in 1976. Final propeller assembly was performed by Duncan Aviation team members (left to right) Nate Tvrdy, Jeff Schlegel and Scott Lau. On a trip to Iowa Western Community College last year, I learned from Eugene Jedlicka, Aviation Department Chair, that the Test Club propellers, used on aircraft engines the students rebuild as a part of their studies, were old and not very safe. When I returned back to my office, I consulted with Scott Lau, Team Leader of Duncan Aviation’s prop shop. We decided we were in a position to help out Western Community College and all future A&P students. After looking through our own inventory and reaching out to other propeller shops, we collected all the necessary parts to complete the project. The Duncan Aviation propeller shop assembled all the pieces and sent the completed prop to a local airbrush art studio for a custom paint job. The finished product made the blades look riveted together with the logos of both Iowa Western Community College and Duncan Aviation on the blades. Thanks to Duncan Aviation propeller shop for final assembly. On January 12th, I traveled to Iowa Western Community College to deliver a two-blade and a three-blade propeller to their program. I know that the propellers will benefit many students and our donation was much appreciated. "We here at Iowa Western greatly appreciate the donation of the two propellers from Duncan Aviation," said Jedlicka. "One will replace an old propeller on one of our engine run up stands while the other will help complete a new engine run up stand that is going to be turbo charged. That is something Iowa Western has never had before. Again we thank the hard working people at Duncan Aviation for taking the time to make these two props appear." Duncan Aviation's FAA Approved Propeller Repair Station provides extensive aircraft propeller maintenance and overhaul services and we are a leading Raisbeck Dealer, a McCauley Service Center and a Hartzell Top Prop Dealer. We maintaing a large inventory of overhauled turbine propellers for outright exchange sales. Now through June 30, 2012, get get a free dynamic balancing with each propeller overhaul. Weather restrictions may apply. Click here for more information. Max Viz Camera pod machined from a solid piece of aluminum with no welds. Designed, modeled and fabricated in-house, this part was completed in approximately 8 hours. Duncan is currently researching the viability of PMA approving this part. Aircraft service providers that hold aircraft Parts Manufacturer Approval (PMA) authority under ODA have a significant advantage in FAA approval response times. These service providers are able to respond almost immediately to any issues in the application and/or certification of new PMA parts. However, the pathway to PMA authority isn’t easy. Duncan Aviation recently received approval through the FAA’s Wichita Aircraft Certification Office (ACO) to add PMA to its revised Organizational Designated Authority (ODA). FAA order 8100.15 details the many steps we navigated through to prove we had the capabilities, processes and aviation professionals in place even to be considered. PMA aircraft parts applicants must qualify, make application and be granted this approval by the FAA Organizational Management Team (OMT). In order to be considered for PMA aircraft parts authority under ODA, applicants must already hold PMA authority through their local Manufacturing Inspection District Office (MIDO). At the time PMA authority is being considered under ODA, the PMA holder must show the FAA that they meet the required qualifications for delegation as identified in FAA Order 8100.15. An application is submitted by the ODA holder documenting how the requirements are met along with procedures on how the ODA PMA will function. These procedures are documented in the ODA Procedures manual. After application, the OMT reviews the history of the PMA parts applicant, qualifications and the procedures manual. The OMT includes the applicant’s local ACO, Flight Standards District Office (FSDO), MIDO and Aircraft Evaluation Group (AEG). All must give approval during review, which includes on-site visits as necessary. Once delegation is received, PMA becomes a part of the applicant’s ODA. There is usually very little impact to production since the procedures, experience, and training already in place for previous PMA delegation are still applicable. The most significant change comes in how new PMA supplements (granting authority to produce new articles under PMA) are added and the maintenance of current PMA supplements. Under ODA PMA, delegates no longer submit application to the FAA for approval in the way that they did previously. The ODA on-site now reviews the applications for each supplement or supplement addition and grants approval. This is where the advantage in response time is realized. 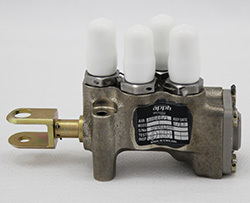 Since the application and approval process is accomplished internally, in coordination with the FAA when applicable, Duncan Aviation is able to respond almost immediately to any issues in the application and/or certification of new PMA parts that may be vital to the maintenance of a customer’s aircraft. It makes the process much simpler and more easily managed. Since 1981, Duncan Aviation has been manufacturing aircraft parts under its PMA authority with the FAA’s approval. In 2011, Duncan Aviation added ODA PMA authority. For more information about aircraft parts manufacturing and other Duncan Aviation ODA services, contact Stacy Carnahan in ODA Engineering Sales. James L. Ferguson is Duncan Aviation’s ODA PMA Administrator. He has been an Aviation Professional with Duncan Aviation since 1979.